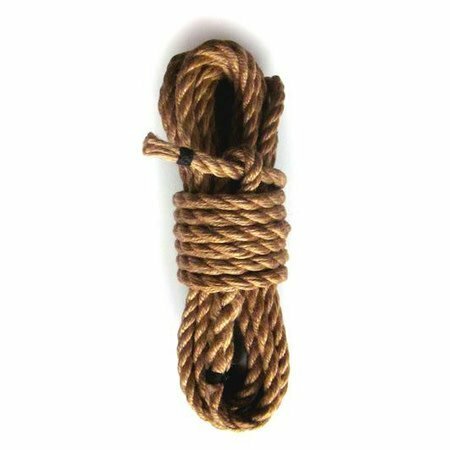 Whether you're serious about hojojutsu or just a rope fan experimenting with a more aggressive style, Douglas Kent hojojutsu rope is a beautiful and affordable choice that will reward good form and help make you a better, more effective hojojutsu artist. 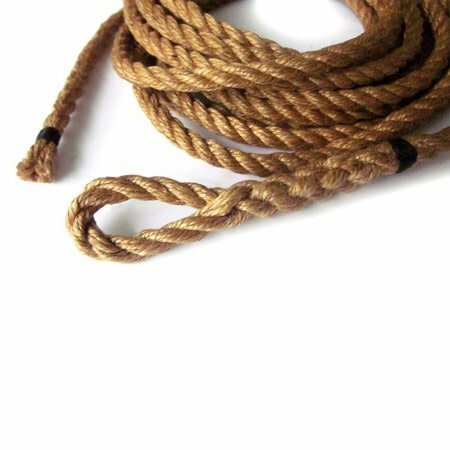 Douglas Kent hojojutsu ropes are beautifully crafted, beautiful to hold, and beautiful to behold. They start by splicing a loop into one end of their signature 6mm natural jute rope. Then, they singe the entire length three times. Next, they lightly coat the length with mineral oil. Though the spliced loop is already very strong, they add a whipping to reinforce the loop and keep it looking smooth. The the other end is finished with a simple whipping so that the rope end pulls quickly without catching. Finally, as a special touch, they add a few extra drops of mineral oil on the inside of the bight to minimize wear and help loops tighten easily. Douglas Kent's hojojutsu rope is designed both to reward good technique and to last. 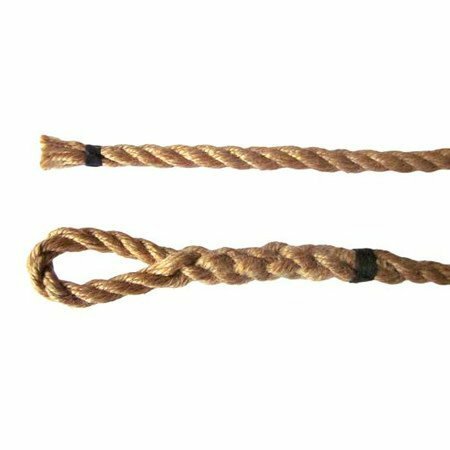 "Quick ropes" in hojojutsu typically range from 4.5-7 m, with standard lengths being either 5 m or 7 m. This rope is 5 m, the shortest common standard, for fast, simple ties. In an old Edo Period hojojutsu color scheme, black rope was used to capture common criminals, with other colors for higher class captives. 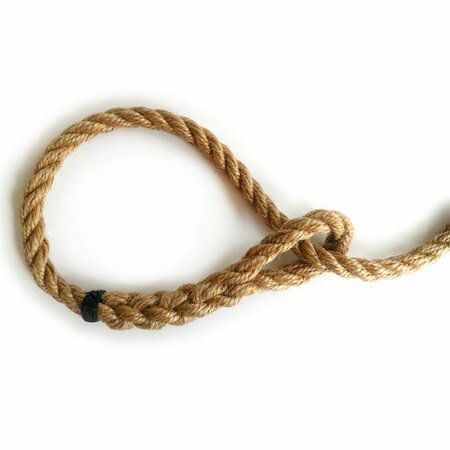 Since this is the shortest style of hojojutsu rope, it would be used for the simplest forms on the lowest criminals. They chose to use black whipping - you can decide if that's because it looks great on natural rope, because it's a traditional standard, or because your hojojutsu partners are kinda sketchy.